New York - Inclement weather did nothing to dampen the excitement during Chai Lifeline’s Bike 4 Chai two day bike ride this week as well over 500 cyclists pedaled 180 miles over two days through New York, New Jersey and Pennsylvania to raise money to send children with cancer and chronic illnesses to summer camp. Over $9.8 million was raised by Bike 4 Chai for Camp Simcha and its sister camp, Camp Simcha Special. Each camp runs a two two-week long sessions, with separate trips for boys and girls at its Glen Spey campus. The women’s Tour de Simcha bike ride held in July drew 230 riders for a 78 mile ride and brought in more than $1.2 million. Riders faced unusually difficult weather conditions this year, starting off on Wednesday morning in Princeton, New Jersey amid heavy rains which tapered off into hot and humid conditions throughout the day. Thursday found riders dealing with pouring rain for the final three hours of the race. 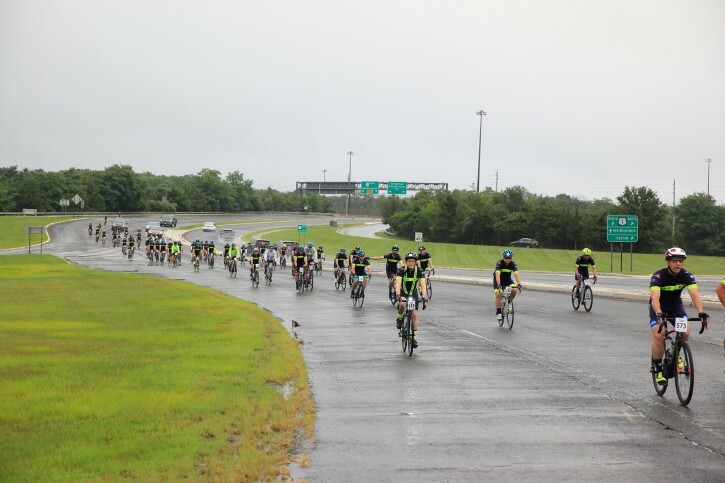 While bikers had the option of being transported to a barbeque held at a staging area before heading to the Camp Simcha finish line, most chose to tough it out in the rain, said Bike 4 Chai executive director Sruli Fried. 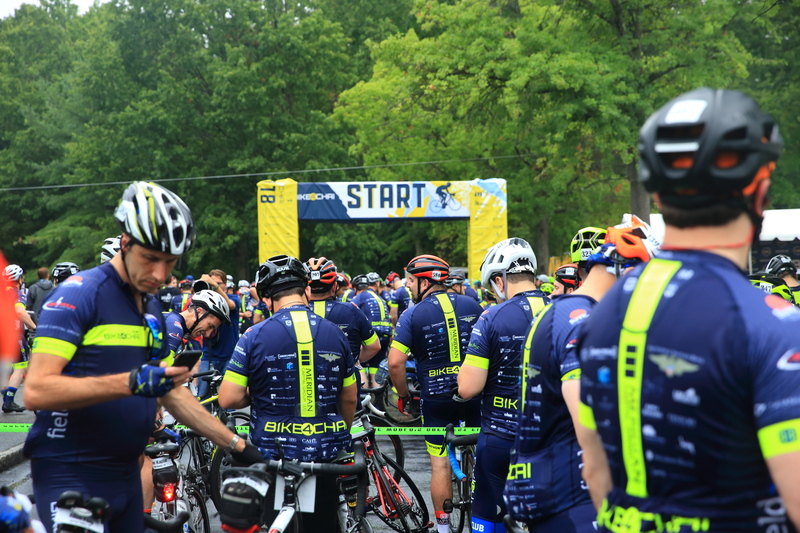 Over one thousand campers, friends and family members were on hand to celebrate Bike 4 Chai’s record participation and fundraising totals with bikers as they arrived in Camp Simcha. Rabbi Simcha Scholar, executive vice president of Chai Lifeline, praised participants for their dedication, noting that in addition to training for months for the ride and engaging in ongoing fundraising efforts, many woke up early on Wednesday and Thursday morning to learn Daf Yomi before donning their helmets and hitting the road. My bro Munch says this would have been a very different story had it ended differently. You and your bro appear to not have graduated kindergarten. You would know, given that you are a student in the nursery class.